While you’re away…offer your pet all the comforts of home. It isn’t easy leaving the care of your cherished pet in someone else’s hands. Just like children, they miss the sound of your voice, the special way you walk through the door and greet them, the kiss on the forehead at night. There is no perfect substitute for you when you’re away from home, but professional in-home pet care is the closest thing to it. With in-home care, your pet can feel secure in the comfortable surroundings of home—and that means less anxiety for your pet and for you. 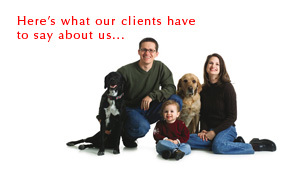 Just ask any of the 1,200 pet owners who have made the leap to professional in-home care with Grateful Pets. Grateful Pets is a family owned and operated in-home pet care provider, serving pet owners in Anne Arundel County, Maryland. Our staff of professionally trained pet care providers shares one thing in common—a deep and abiding love for nature’s creatures. We work with our clients to develop a customized pet sitting service plan that includes an exercise schedule, menu planning, and health and medical care—everything it takes to ensure your pet’s sense of security and well-being while you’re away. And we’ll look after your home as well, turning on lights, bringing in mail, watering plants—all the little things that give you a sense of security. The cost for all this personalized care? You just might be pleasantly surprised. Give us a call at 410.266.3998 for a consultation.